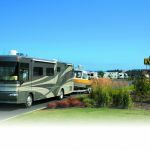 Ask fellow campers about "The Mill Casino RV Park" and nearby attractions. Nice place. It should be comped if going to gamble but ok. Lots of clean showers and wash/dryers. Some road noise. We camped at The Mill Casino RV Park in a Travel Trailer. Used the "Dry Camping" parking lot,fairly level & had no issues, payed $20 @ the RV park office, and a shuttle is available to go to the Casino. All in all was a pleasant stay for one night. We camped at The Mill Casino RV Park in a Motorhome. Well, this place is top flight. I reserved but it was not busy. I stayed in space 64 close to the office to get good wifi. 68ft long spot! 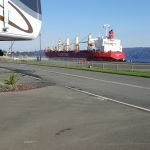 The free shuttle to downtown Coos Bay is a bonus and right from your RV Space. The food in the Plank House Restaurant was excellent. We camped at The Mill Casino RV Park in a Travel Trailer. Very pleasant RV park. It is well laid out, easy to back in or pull through because roads are wide enough and sites are large. Roads are asphalt and sites are concrete with landscaping between each site. Utilities are well placed and worked fine. Verizon cell signal was good, cable was okay and wifi was okay. The park is pleasing to the eye and it feels safe. I suppose if I had a complaint it would be that the light pole at the rear of our RV was like a 1,000 suns shining in the bedroom window. We camped at The Mill Casino RV Park in a Fifth Wheel. 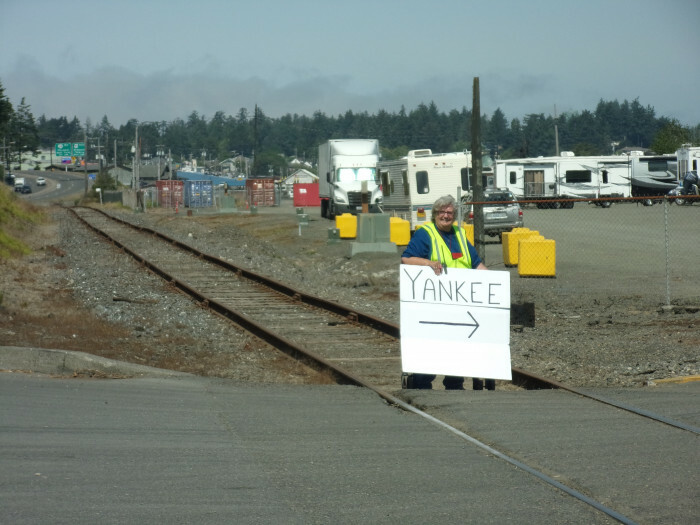 We had long pull through one lane from the most favored sites facing Coos Bay. A little tight but well laid out. Park is usually full so advance reservations highly recommended. The site was such that if you were to remain hooked up, the front of the Motorhome is quite low compared to the rear so somewhat hard to level. We camped at The Mill Casino RV Park in a Motorhome. We stayed here with our RV caravan group as our final stop on our 38-day caravan. It was the perfect place to stay as we culminated our adventure. The sites we had were all pull-thru with concrete and picnic tables. Most of us faced the water. There is a shuttle that runs you to the Casino and hotel. We used it as a base camp to explore the Oregon coast. The office staff was friendly and helpful. They even gave us a coupon for some free play. It was an excellent place to stay. We camped at The Mill Casino RV Park in a Motorhome. The park was attached to the casino. We had a water view site which was great. The area is a fishing village just of the Pacific Coast. The park is far enough away from the casino that we did not get the traffic. We camped at The Mill Casino RV Park in a Motorhome. 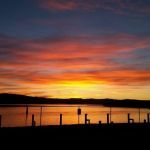 For central Oregon coast visits, The Mill RV Park is our all-time favorite, with wide, paved sites, free transportation not only to the casino, but anywhere in Coos Bay/North Bend. Utilities are ideally located and always work. Just wish they had faster wi-fi with more band-width. We camped at The Mill Casino RV Park in a Travel Trailer. Arrived on Friday morning of Labor Day weekend and asked to park our 5th wheel in the overflow as I was taking my wife to the hospital ER (also asked for and was given excellent directions), wasn't sure if we would be staying or not. The clerk was quick to give me instructions, said she would notify security of my situation if I didn't get back to her before closing time. Stayed 2 nights in the over flow for $20.00 with access to filling my water tank, dumping, bathroom & shower. Managed to get a pull through site on a nightly basis and did not have to move. We were waiting to make phone calls to our doctor and get records from the hospital, staff was very accommodating to our situation. We have stayed here several times and will continue to return. We camped at The Mill Casino RV Park in a Fifth Wheel. We stayed here for a week for a motor coach rally. We had a 2nd row pull-through site. It was very nice, good solid hook-ups, all paved with small shrubs separating the sites. Plenty of distance between the sites. We arrived a day prior to the start of our reservation and we had to day in dry camping, which is basically just a big gravel parking lot. Well kept, cut still gravel. They charge $20 for a dry site, but give you access to all the facilities like bathrooms, shower, laundry wi-fi etc, so that seems like a fair deal. Our FHU site was clean. Good Wi-Fi and good Verizon coverage. The casino is walking distance, if that is your thing. Or. you can take the free shuttle. In fact, the casino shuttle will take you into town and pick you up as well. Very nice laundry and shower house. Some of the sites are water front, but to be honest, it is just looking at the inland bay and there is a lot of walking pet traffic in front. I recommend saving a fee $ and take a second row site, we could see the water just fine. Great place to ex-plore the middle south Oregon coast. We would stay here again. We camped at The Mill Casino RV Park in a Motorhome. Excellent campground with good power, water and sewer. Fully paved and level site. We had water front lot and enjoyed watching ships come up the channel. Casino restaurants are convenient with shuttle picking you up at your campsite and deliver you right back there. Shuttle will also take you to local businesses and pick you up. We camped at The Mill Casino RV Park in a Motorhome. Walmart and Fred Meyer about 15 minutes away. Restaurants nearby as well. This review is for the dry camping area next to the RV Park. It still cost $20 to dry camp but that allowed us to use the bathhouses and laundry which were clean and modern. We were also allowed to dump the tanks at a sewer connection in an empty site in the morning. The dry lot is gravel and very large and level so there was lots of space for the many RVs camped there. There is a frequent shuttle to the casino but it is a short walk. The campground looked very nice but the prices were $45 - $65. We camped at The Mill Casino RV Park in a Motorhome. 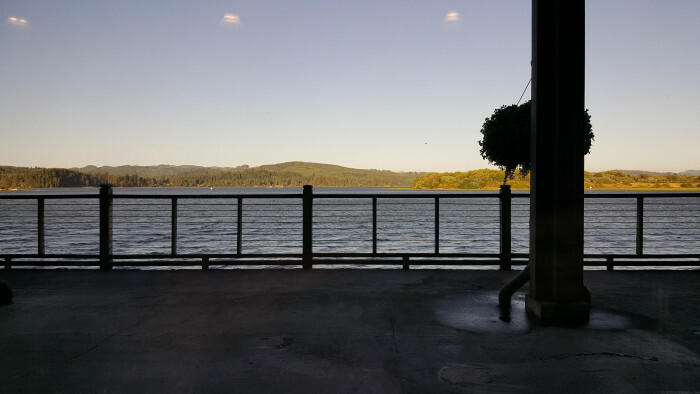 We really enjoyed the Coos Bay Historical Museum, the Coos Art Museum with the Prefontaine Gallery, and the U of O Marine Science Center in Charleston. Stayed here for the FMCA Northwest Rally and loved it. Great staff and a very clean park! We're so excited to come back that we are already making plans. We camped at The Mill Casino RV Park in a Motorhome. Right on the bay. View of osprey nest from RV. Don't pull too far forward as there is quite a decline. Dry camping available in dirt lot for $15 a nite with access to all facilities, dump, water, etc. Shuttle to casino. We camped at The Mill Casino RV Park in a Motorhome. Casino buffet was not good but cafe food was good. 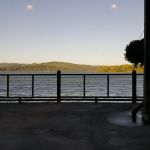 Go downtown Coos Bay to Shark Bites Cafe for good food. Free money for card holders old and new. Park is situated within walking distance of casino, adjacent to the ocean, with shuttles available. Are we RV people "born to lose"? Busy, very smoky casino. Nice walking path around park with small enclosed off leash dog area. People with small dogs leaving their pet deposits lying around without bothering to pick up even though their are bags and refuse barrel provided. Is it any wonder RV dogs seem less welcome all the time? Sites are spacious with excellent cable TV and wifi. We camped at The Mill Casino RV Park in a Travel Trailer. The casino has a good coffee shop (Timbers Cafe), an above average buffet, and upscale restaurant that is good for breakfast. Take advantage of discounts/perks by getting a player's club card. There's a very good Safeway next to the rather pathetic mall, and a large, always busy Wal-Mart up the street. The new Coos History Museum is very nice, the Charleston Marine center is worth a trip, and the views from the Cape Arago Highway and Shore Acres park are magnificent. Go to Shore Acres park to look at the gardens and the cliff view. Fred Meyer and Safeway are 2 miles away. If you're a runner, go visit Steve Prefontaine's grave site. Visit Shore Acres State Park and walk their Estate Gardens: truly stunning. Walk along the edge of the cliff to the small, enclosed viewing platform. Just beyond the entrance to Shore Acres is a scenic overlook to view sea lions on the rocks below. If you're in town on a Wed, visit the Farmers Market. It's one of the finest we've seen (lots of mushroom vendors!). Old Town Bandon is worth the trip. Check out Face Rock Creamery in Bandon for many varieties of cheese and LARGE ice cream cones. Nice Farmers Market in Coos Bay on Wednesdays. About 1/2 hour drive to the state parks on the coast -Shore Acres, Sunset Bay, and Cape Arago. Beautiful. Worth the drive. Go to the Shoreacres gardens. Be sure to visit the Umpqua Lighthouse and take the tour. You won't be sorry. Bandon is also a great town to visit and not too far. While there go to the FaceRock Cremery and sample great cheeses. We also had terrific ice cream. 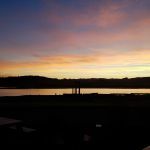 Lots of places to eat in Coos Bay. Try some of those. The food in the casino was in need of improvement. We ate in the Saw Blade Buffet. Maybe the other restaurant is better. Do not bother with the buffet in the casino; it is awful! Our favorite place to eat is the Warehouse 101 bar in the casino. There is a no smoking. Ocean in 30 minutes. Shore Acres State Park has a Rose garden and view of the ocean. Enjoy crabbing in Bandon off the pier or tour the Coquille River lighthouse at Bullards Beach State Park. Shopping for groceries or other items can be done at Wal-Mart, Fred Meyer, Safeway. Stay closer to the road and away from the boating noise. Coos Bay is a good place to use as a base to tour a bit north (Reedsport; Winchester Bay) and south (Bandon; Charleston). Cape Arago, Simpson Reef, Coquille River Lighthouse, Umpqua River Lighthouse. Good coastline touring nearby. The Coos Bay Visitor info center is great. Casino Restaurants are very good. Clambake Jazz Festival is a great attraction. 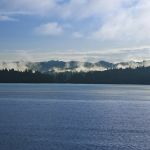 Cape Arago drive is great--Whale watching from some of the lookouts; Sea lions, seals and elephant seals on Shell Rock; Sunset Beach; Bastendorff Beach; Charleston for seafood; South Slough Estuary for walks, birding. Shore Acres State Park, Dunes, the casino buffet featured prime rib, etc. Casino, ATV dunes area, state parks, waterfalls, all nearby. Don't miss Sunset Beach and nearby Shore Acres botanical gardens south on Arago Highway. Are you affiliated with The Mill Casino RV Park ?